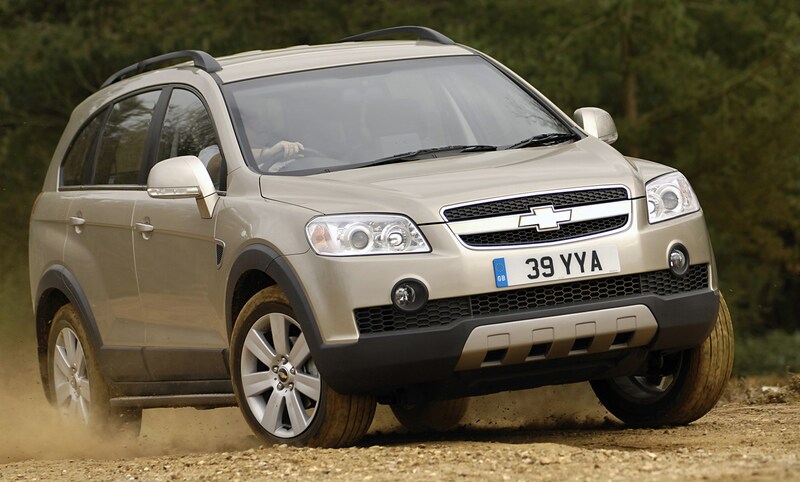 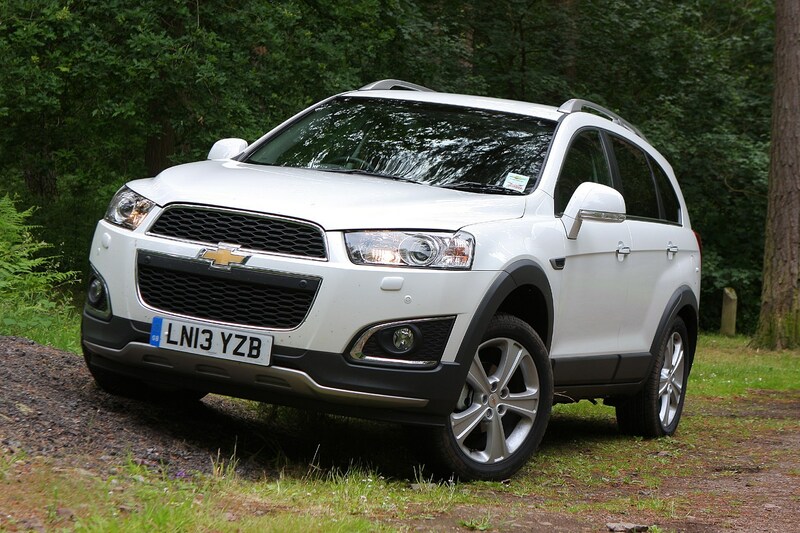 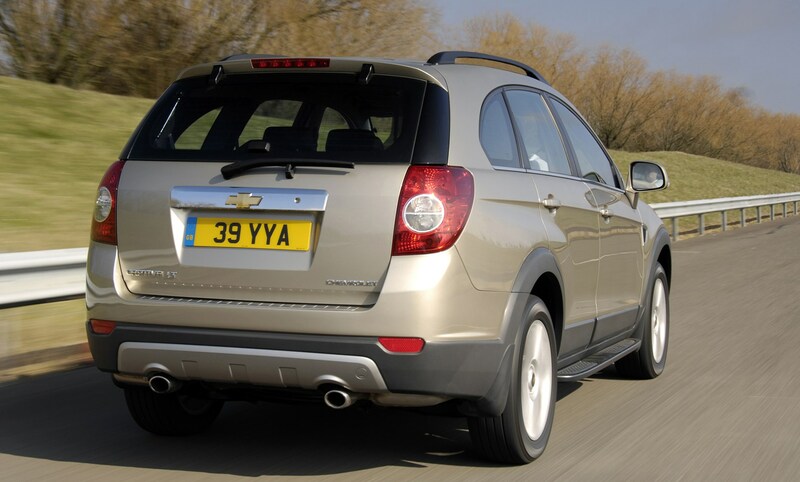 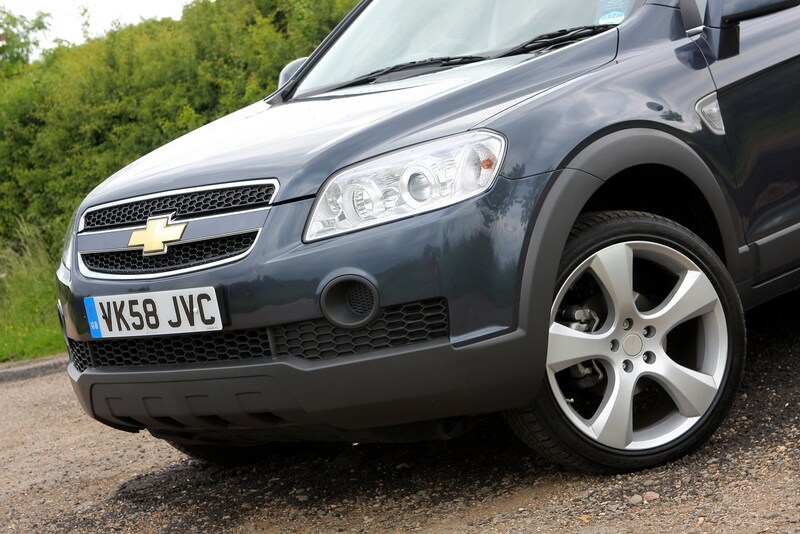 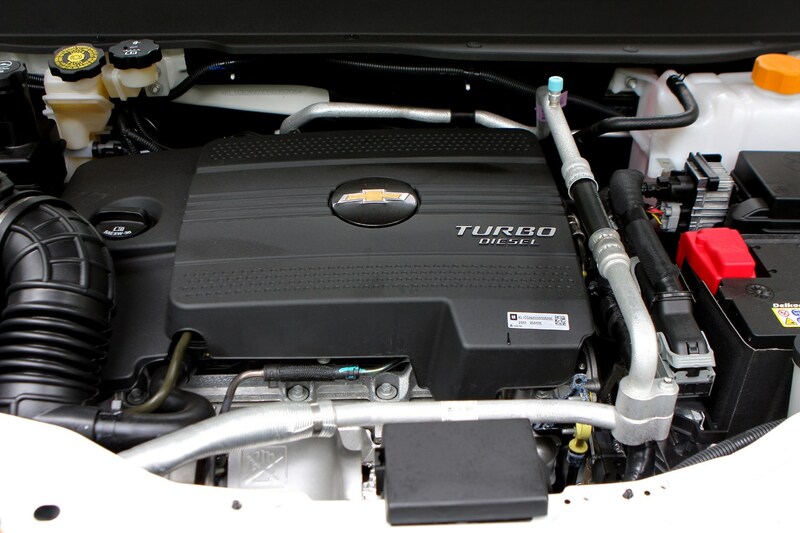 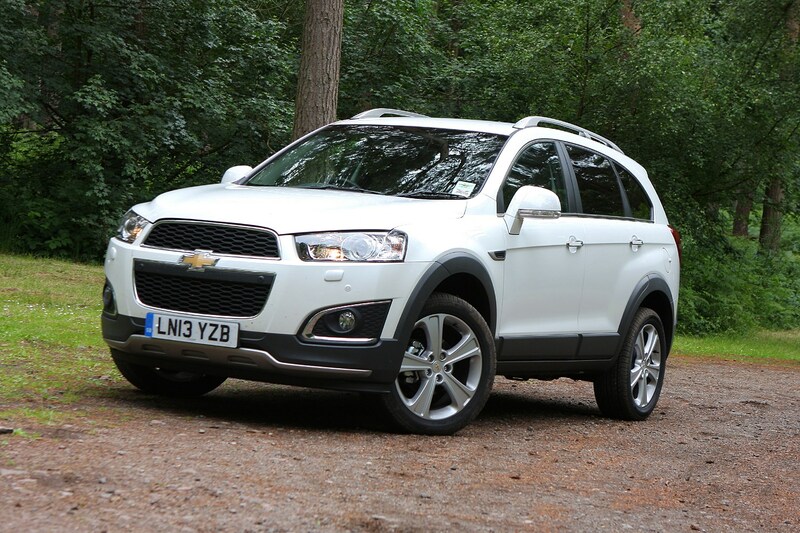 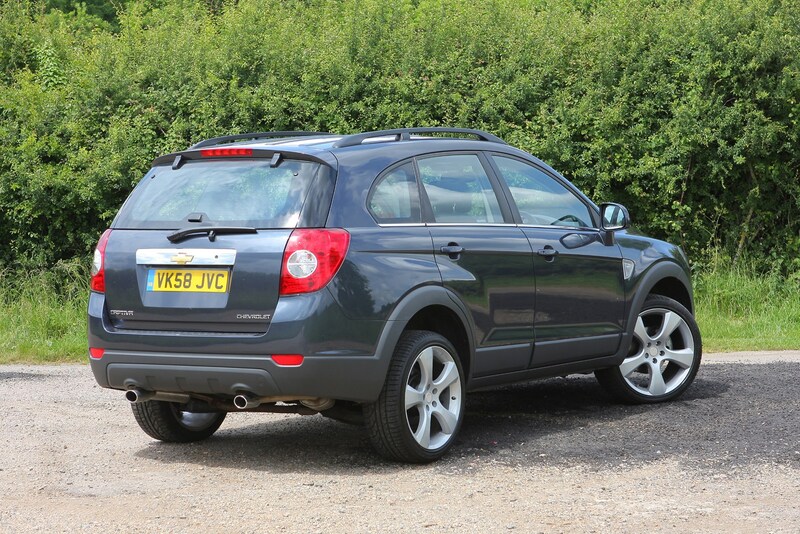 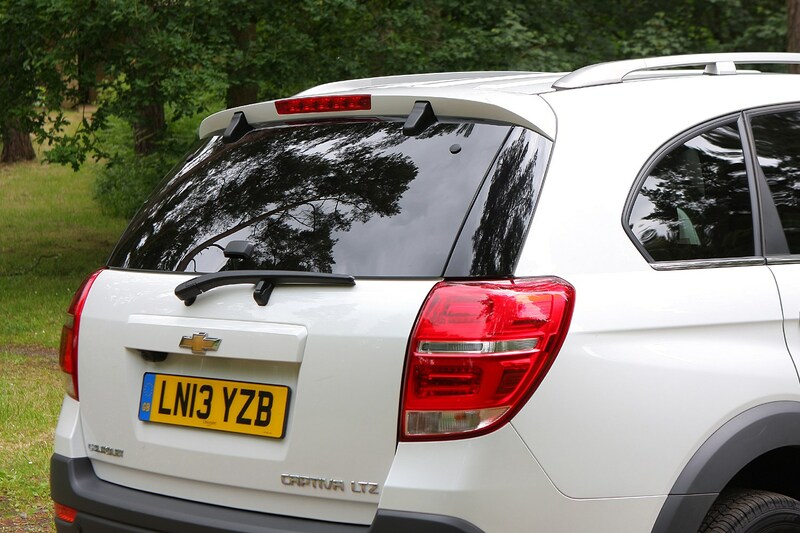 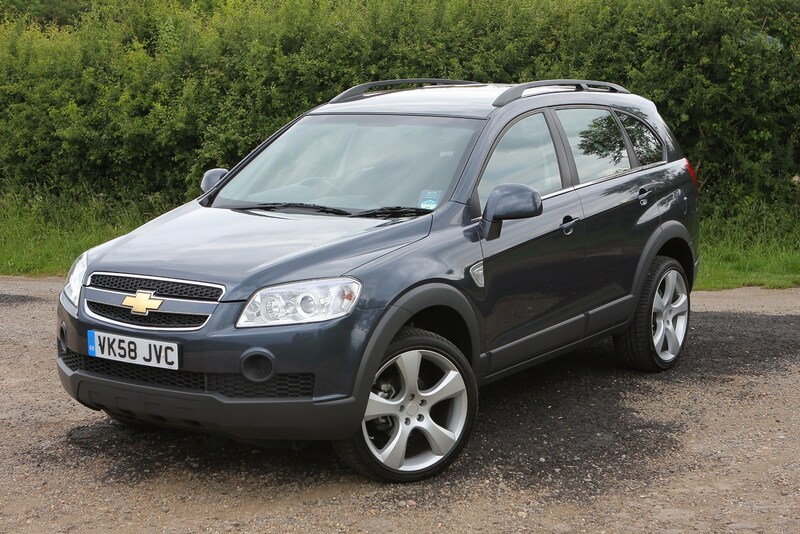 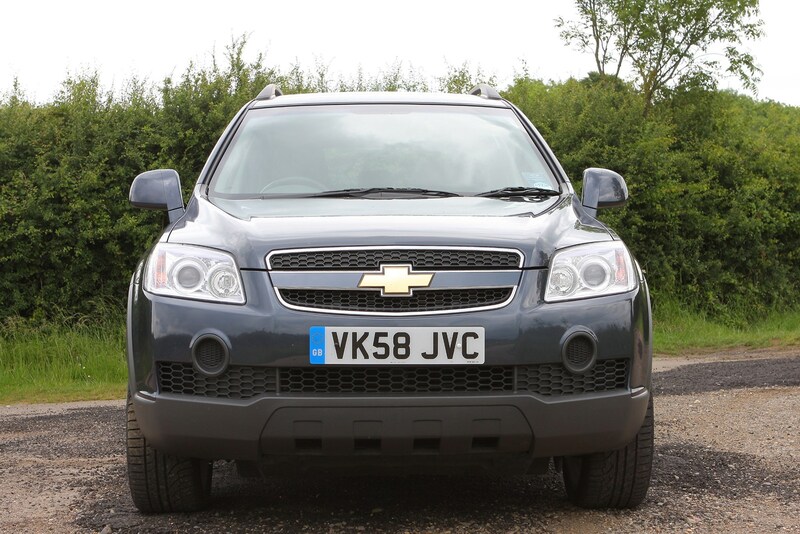 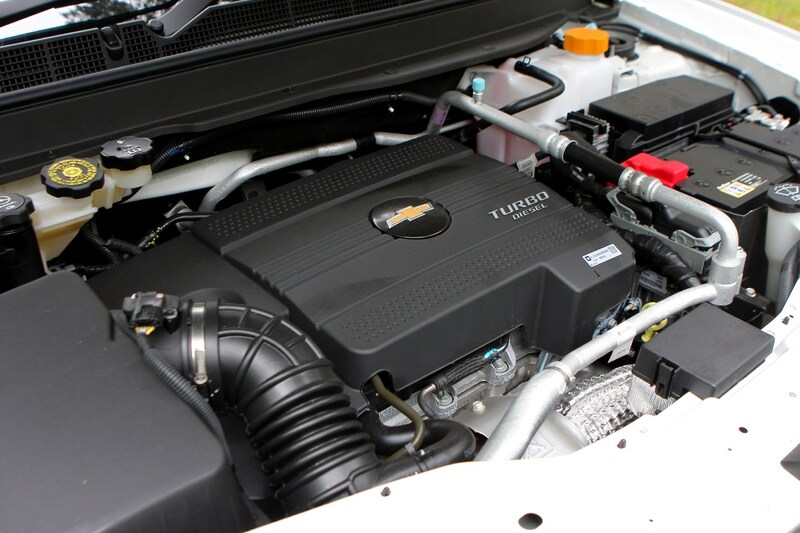 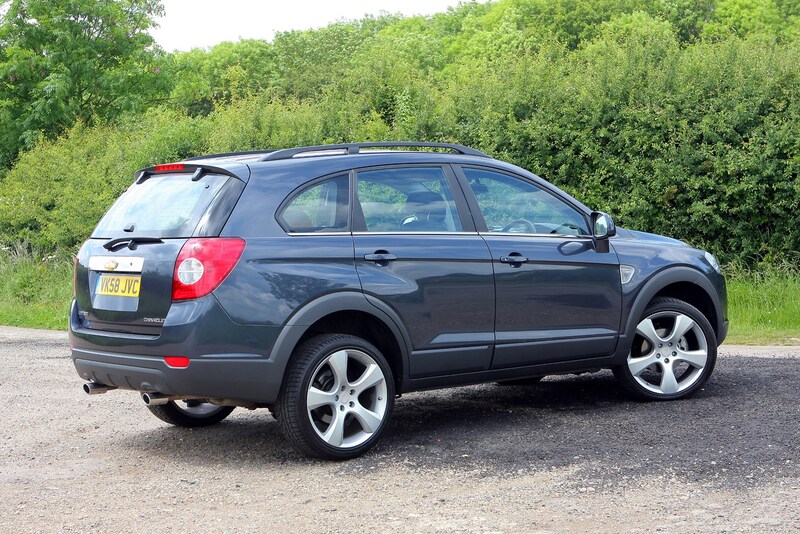 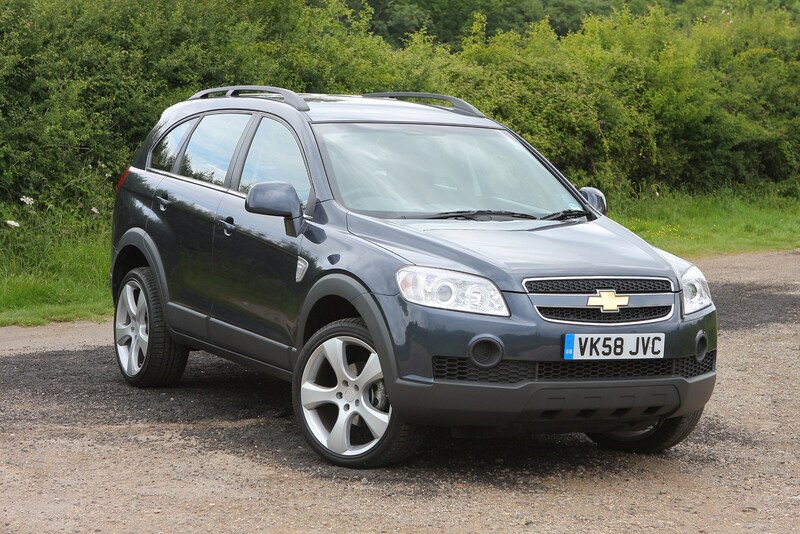 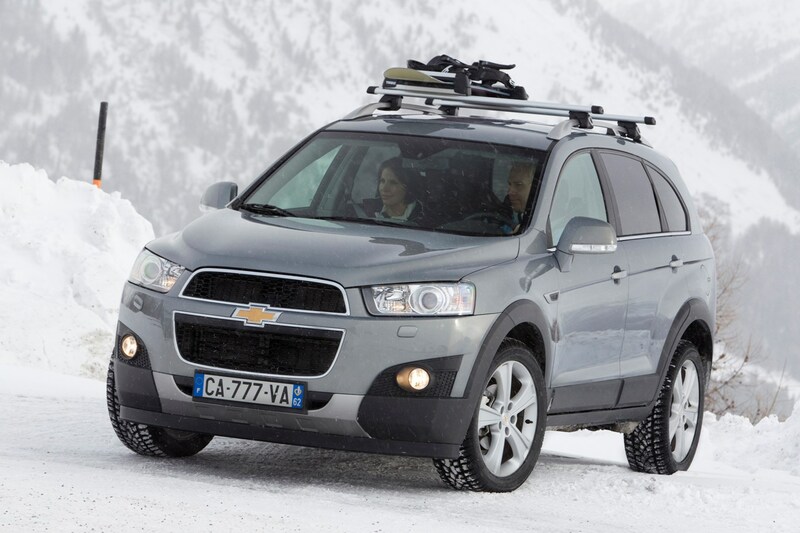 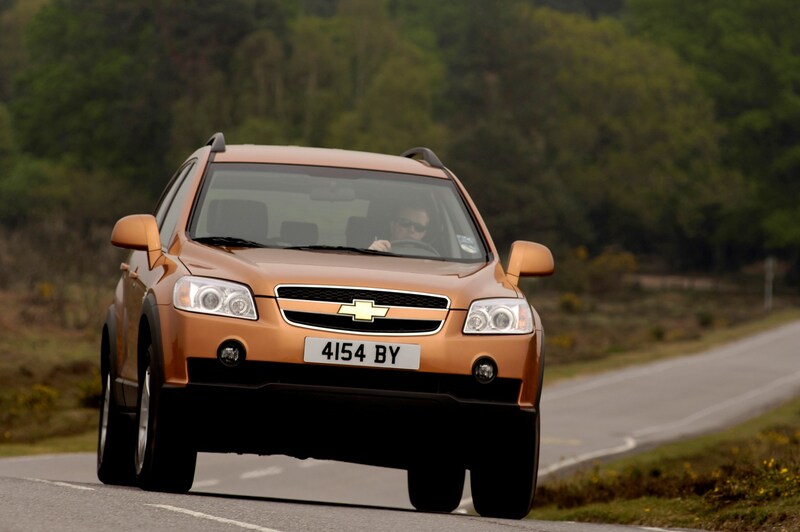 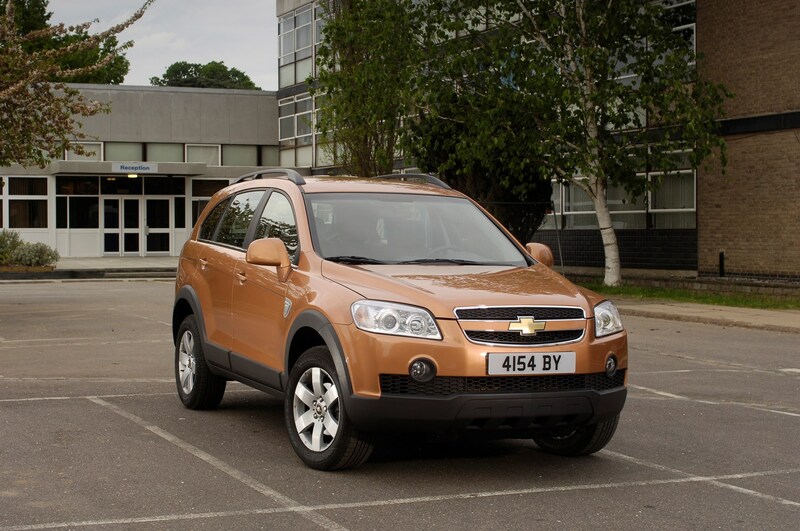 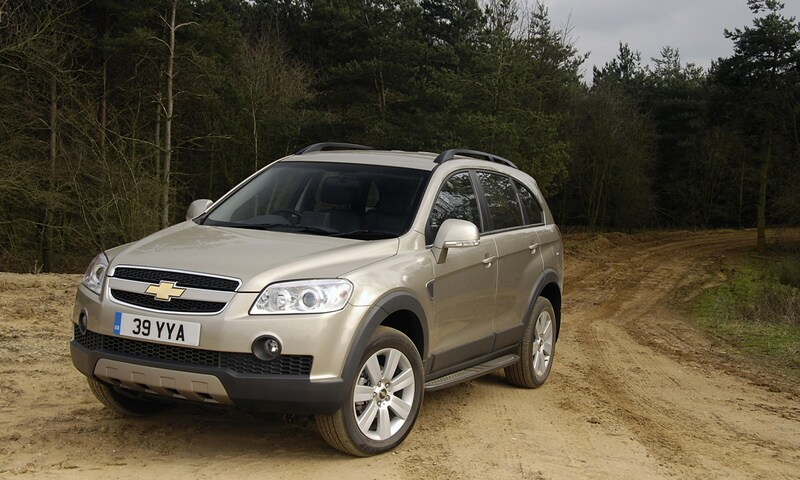 Originally, the Chevrolet Captiva performance portfolio included a 136bhp 2.4-litre petrol engine as an option, but this was dropped due to little demand at the beginning of 2011. 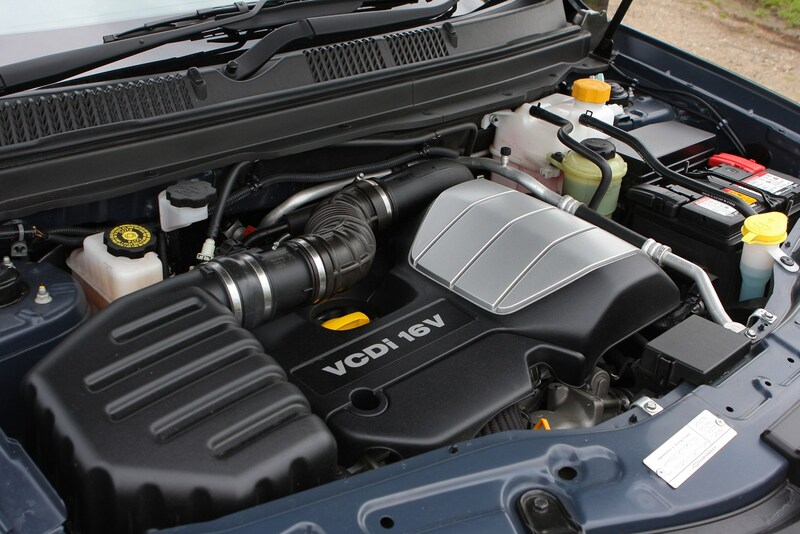 This left the pair of 2.2-litre turbodiesel engines, which replaced the original 150bhp diesel in late 2010, and they offer 161- and 181bhp. 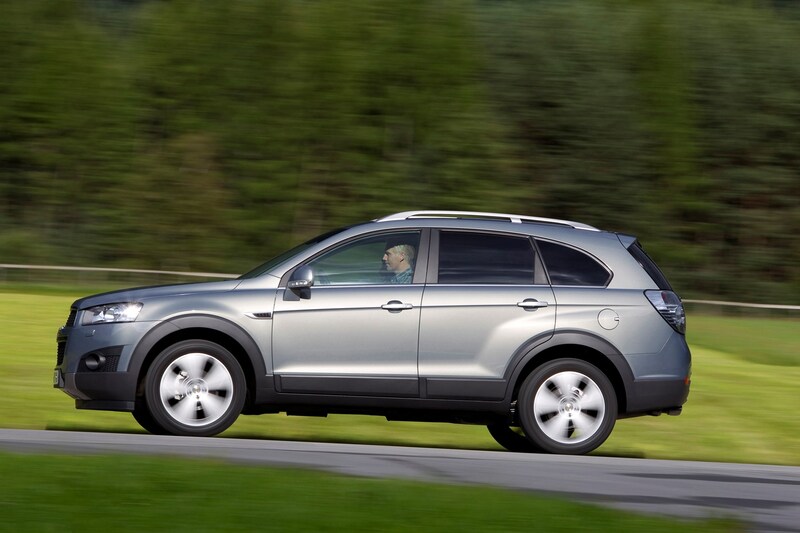 The less powerful diesel is restricted to the front-wheel drive-only Captiva model and delivers 0-62mph in 9.9 seconds and a 117mph top speed. 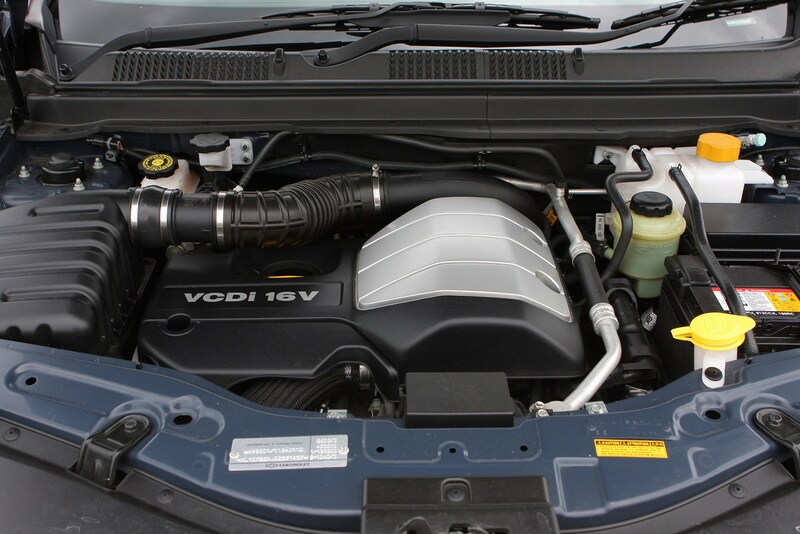 It feels reasonably brisk on the road, though it gets noisy when stretched further up its rev band. 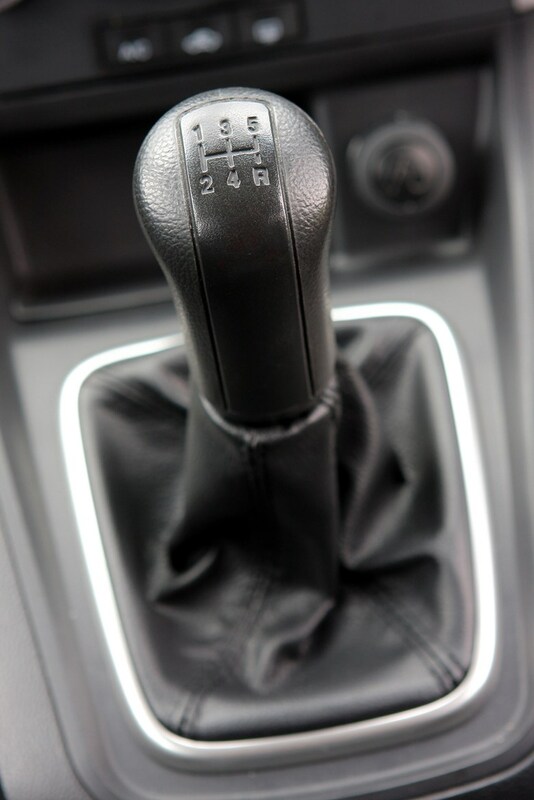 It’s the same story for refinement with the 181bhp engine, which is only sold with four-wheel drive as standard but does have the option of a six-speed automatic gearbox in place of the notchy six-speed manual. 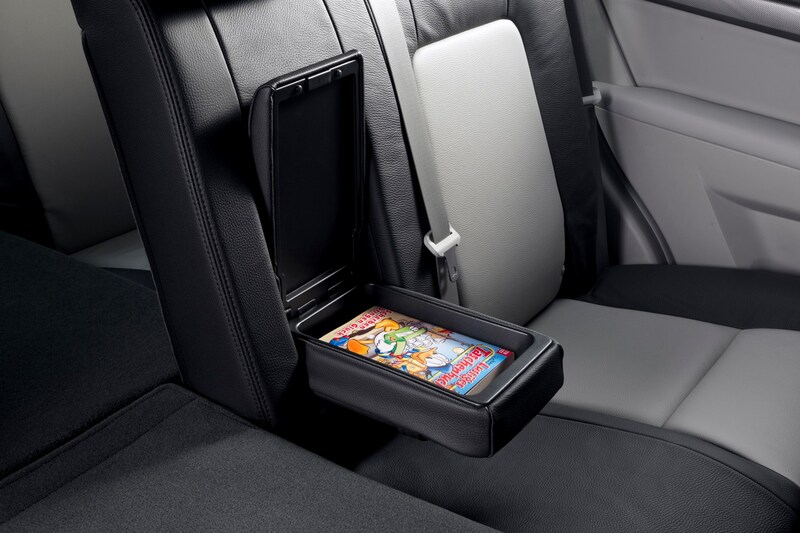 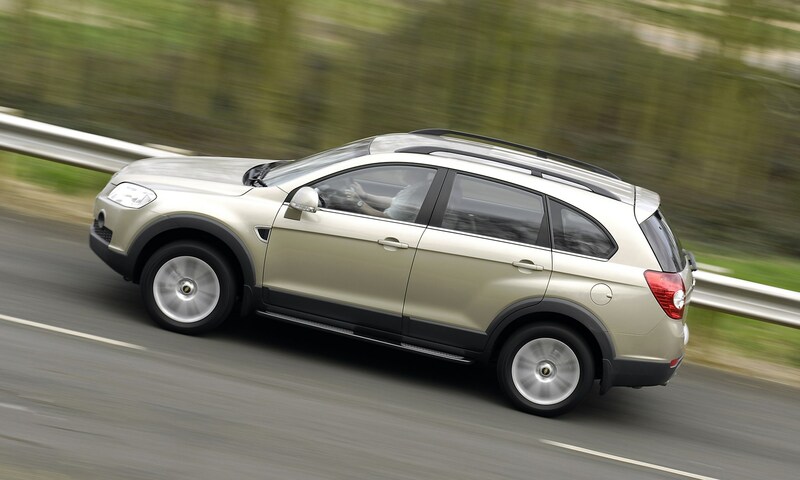 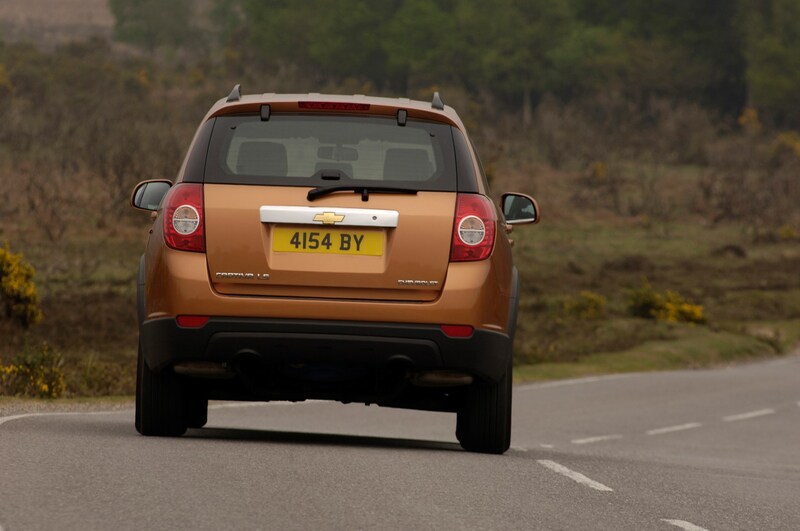 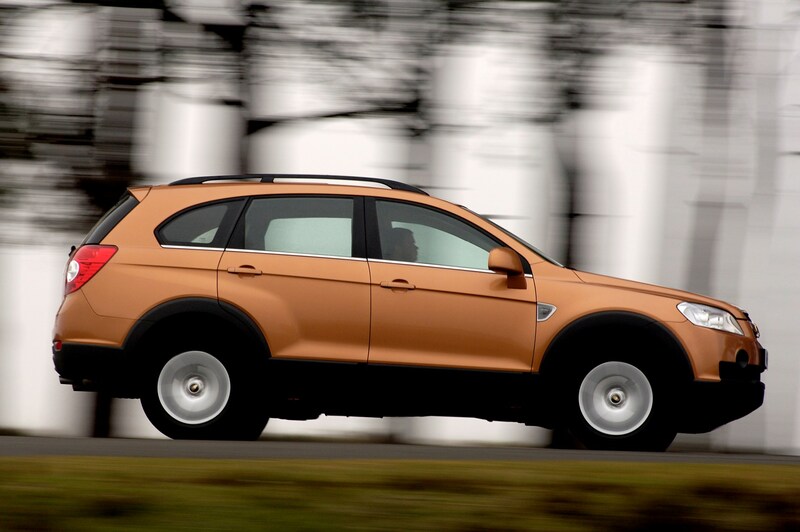 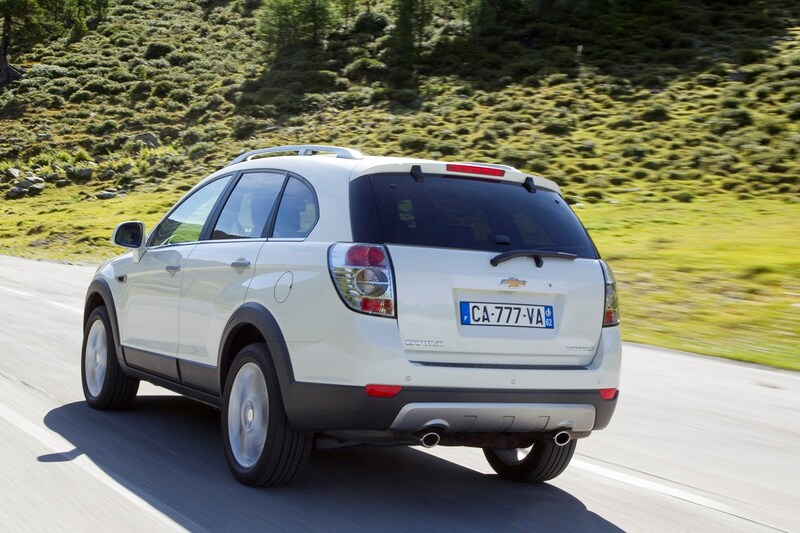 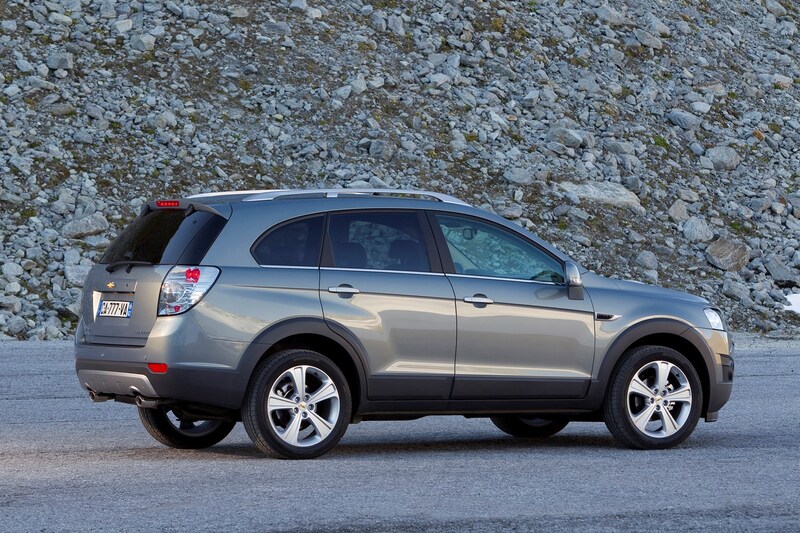 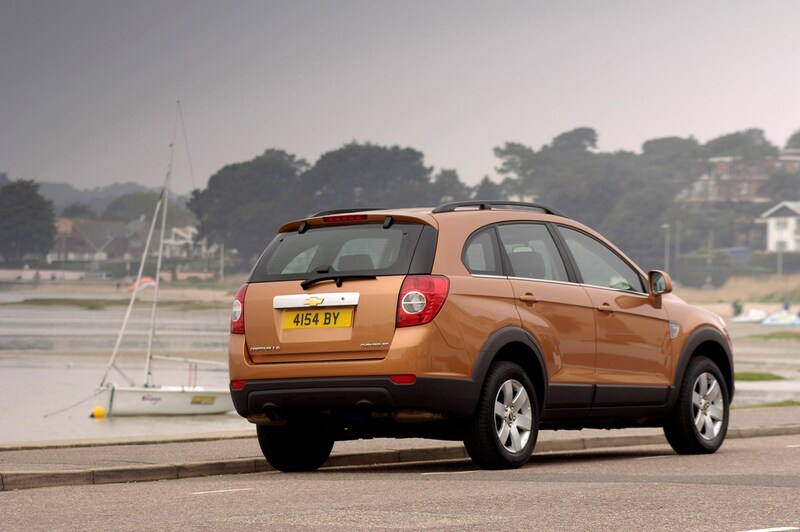 With the manual ’box, the Captiva 4x4 manages 0-62mph in 9.6 seconds, while the auto need 10.1 seconds. 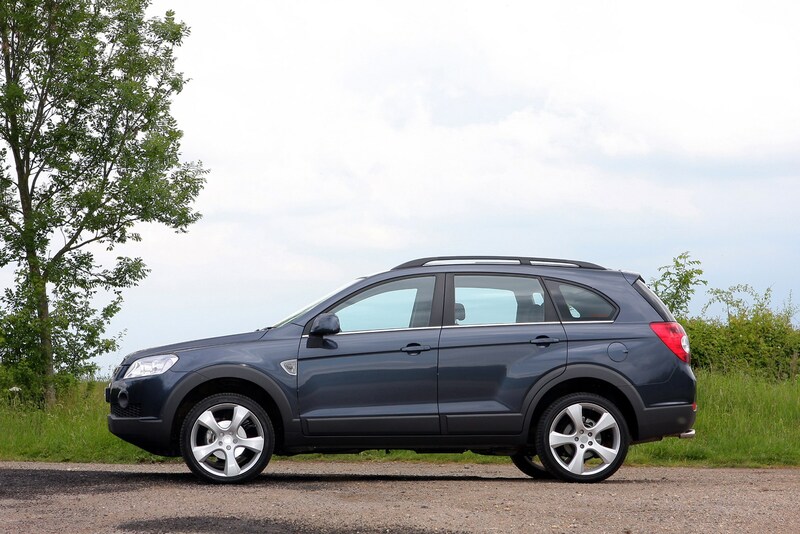 While we’re no great fans of the Captiva’s manual gearbox, we’d choose the 161bhp diesel for its added economy, lower emissions and price, and its minimal drop in performance compared to the more powerful version. 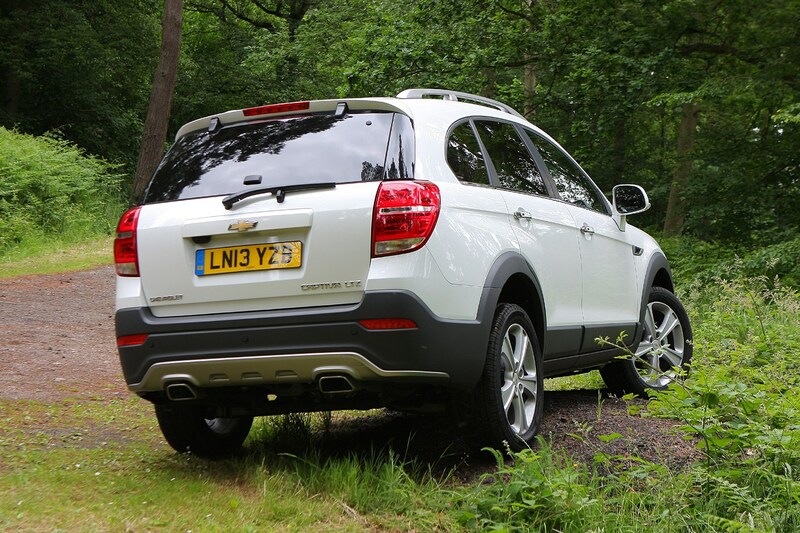 The Captiva corners quite well for a tall vehicle designed as a 4x4, and while the steering lacks feel, it's easy to track bends precisely. 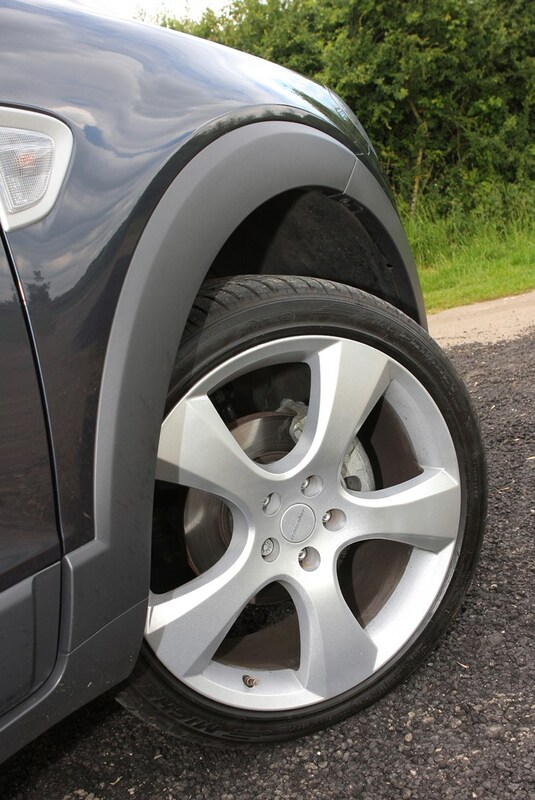 It rides firmly, which is all very well on smooth roads, but composure suffers when the surface is less than perfect. 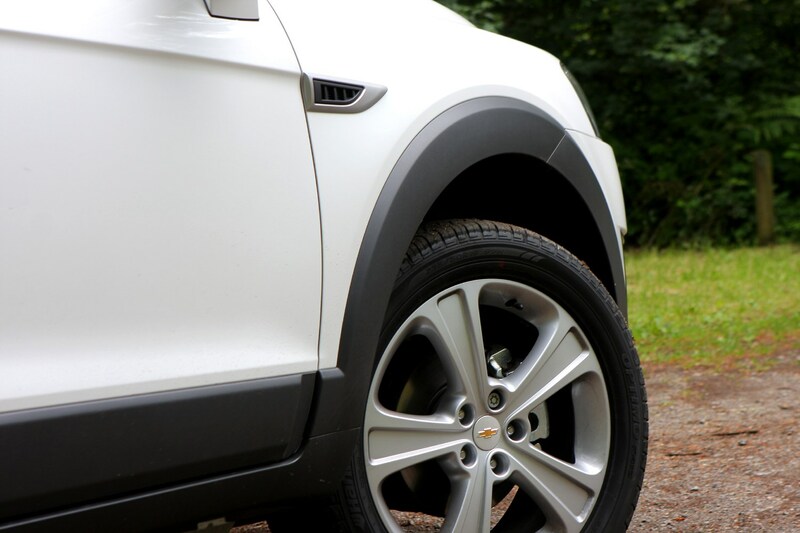 The LTX model in particular, on 18-inch wheels as standard, becomes a chore on uneven surfaces, with the unforgiving ride quality amplified the further back you sit. 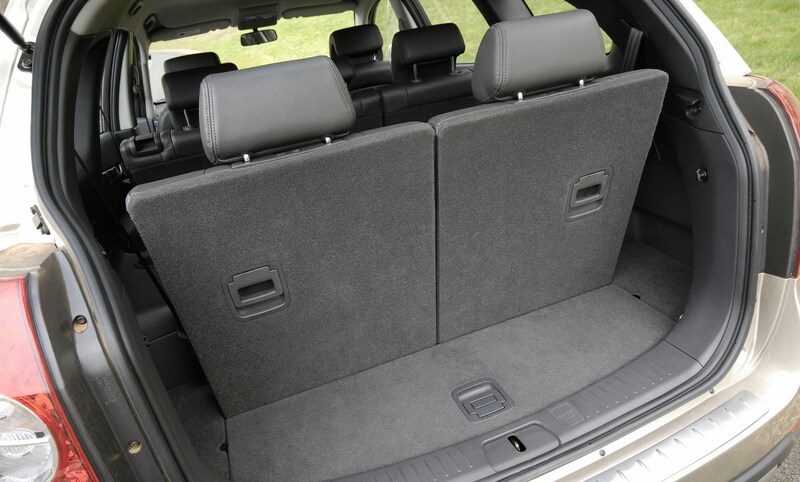 Passengers in the third row would be unlikely to endure such behaviour for long. 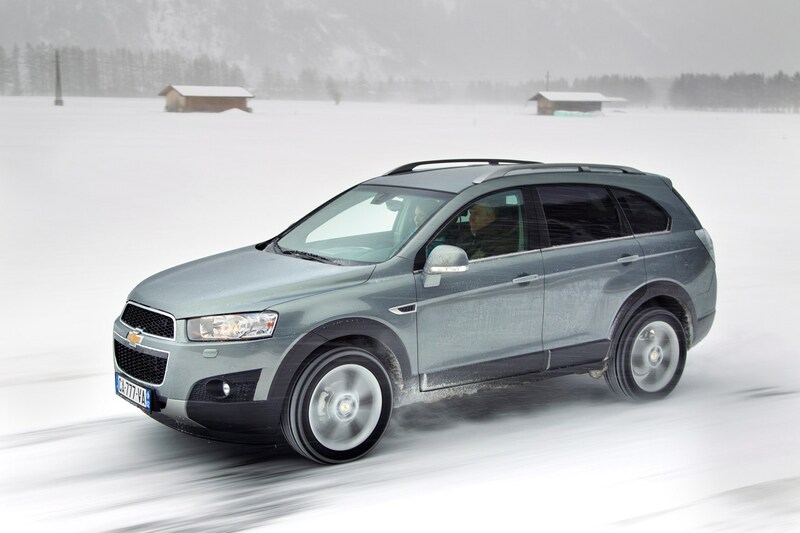 All four-wheel drive versions of the Captiva come with electronic stability control, helping the driver regain control safely should the car skid on the road, plus a hill descent control system to help safe progress off road. 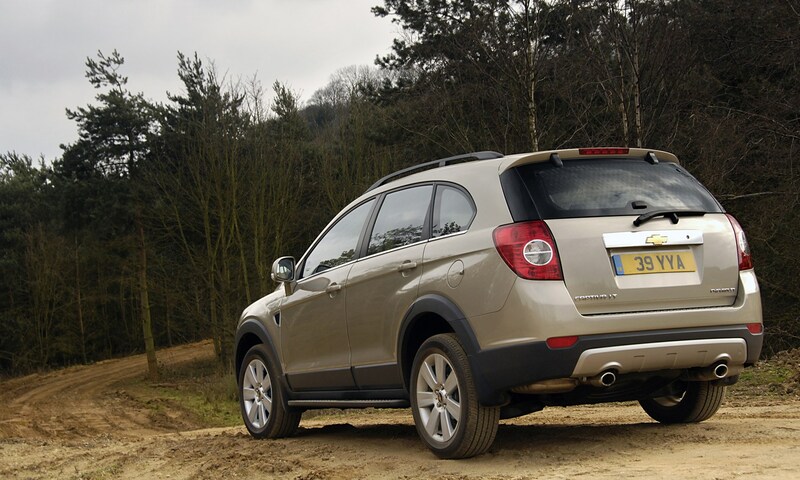 However few owners are likely to take their cars off road. 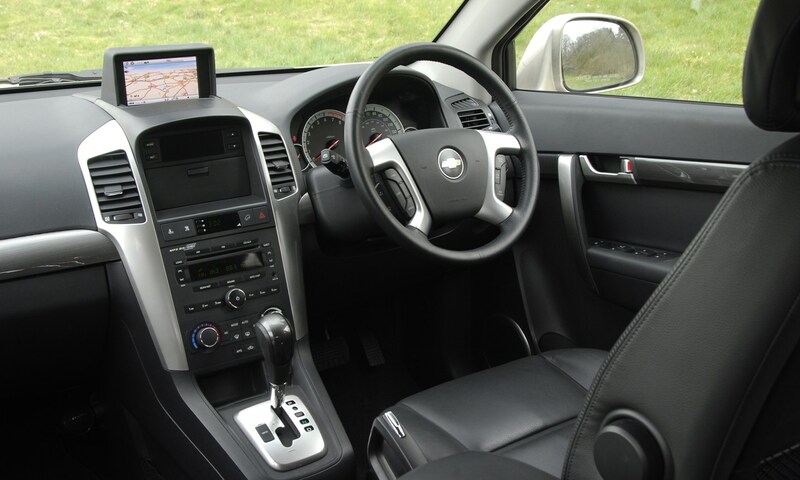 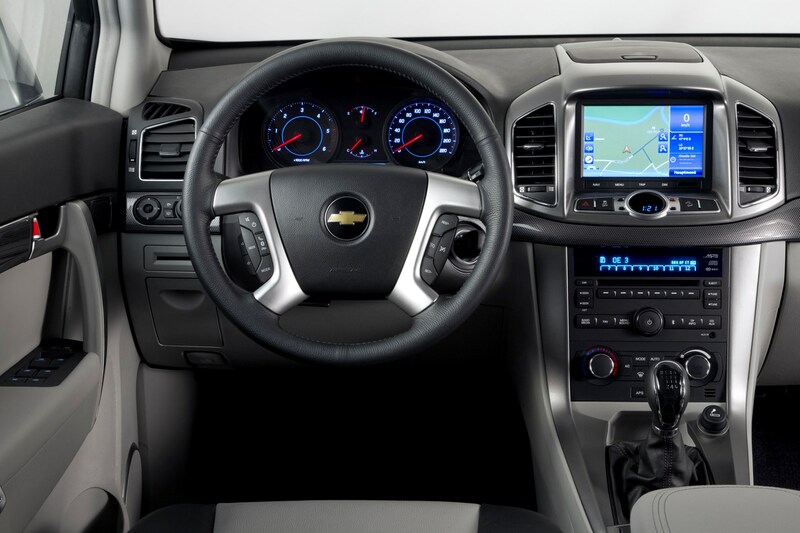 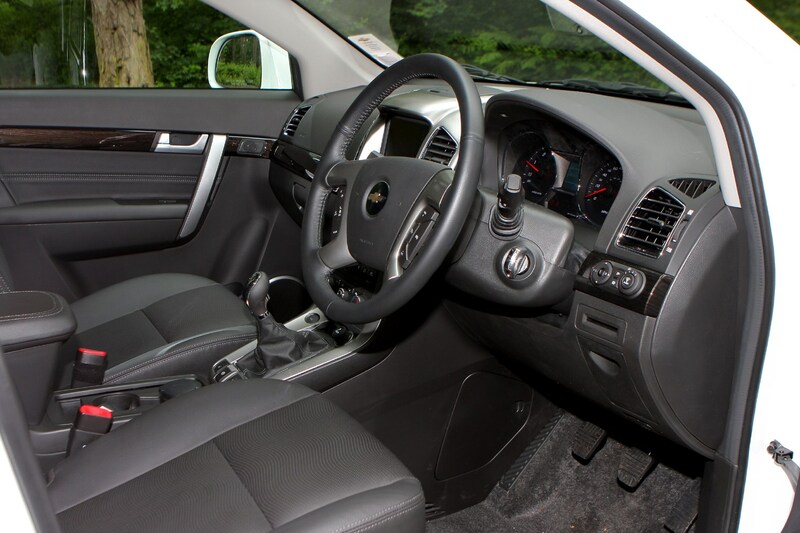 The interior of the Captiva is pleasant enough, with excellent adjustment for the driver's seat plus the steering is adjustable for reach and height on diesel versions. 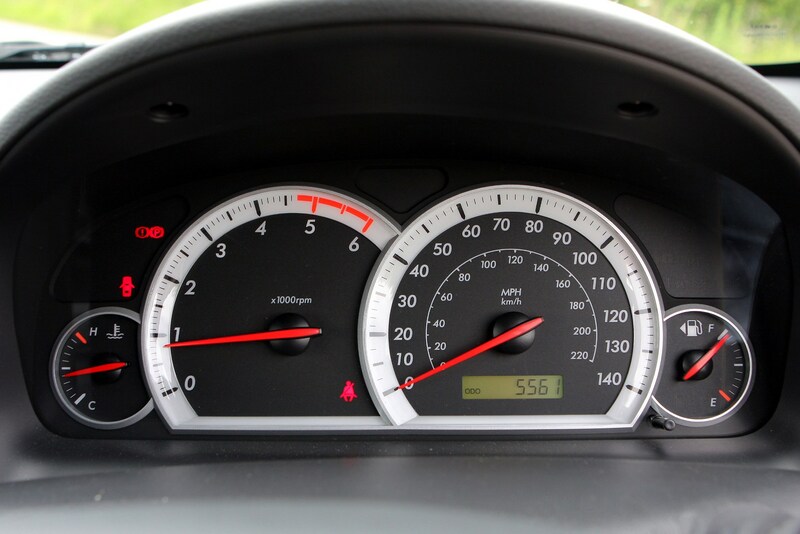 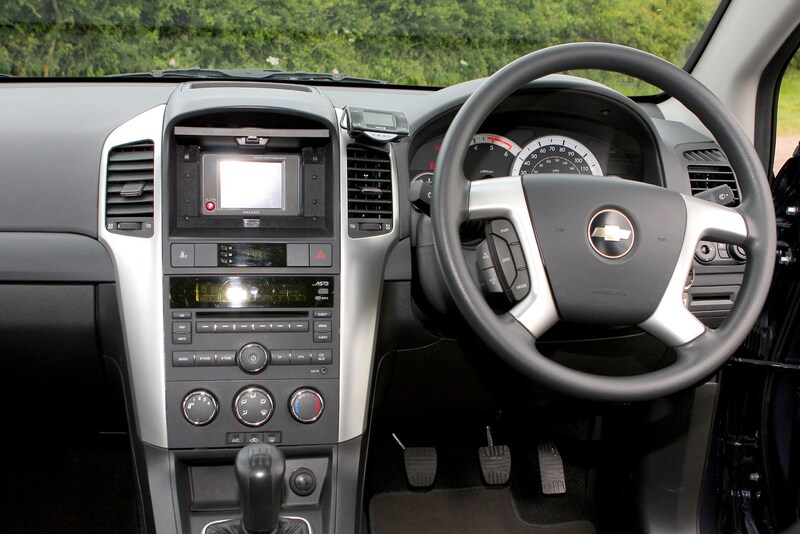 The dashboard is quite sober-looking but is improved by the metallic-effect strips running vertically alongside the dashboard centre. 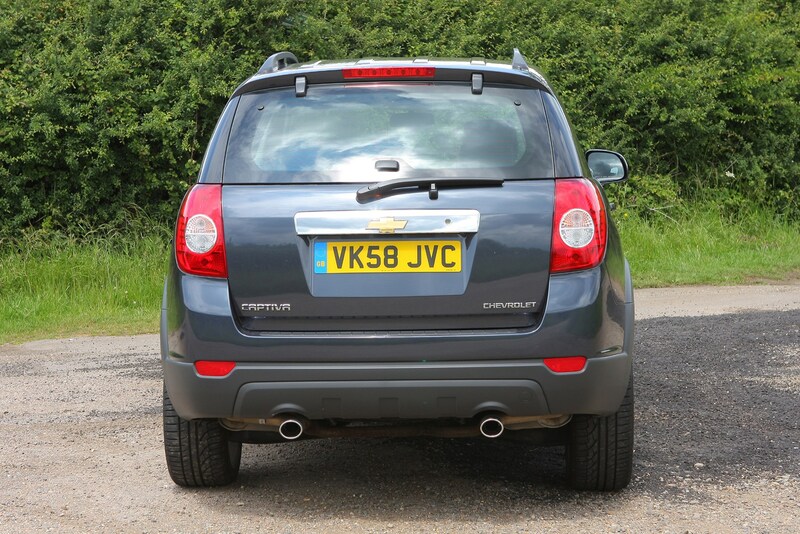 Visibility is pretty good, apart from around the rear pillar. 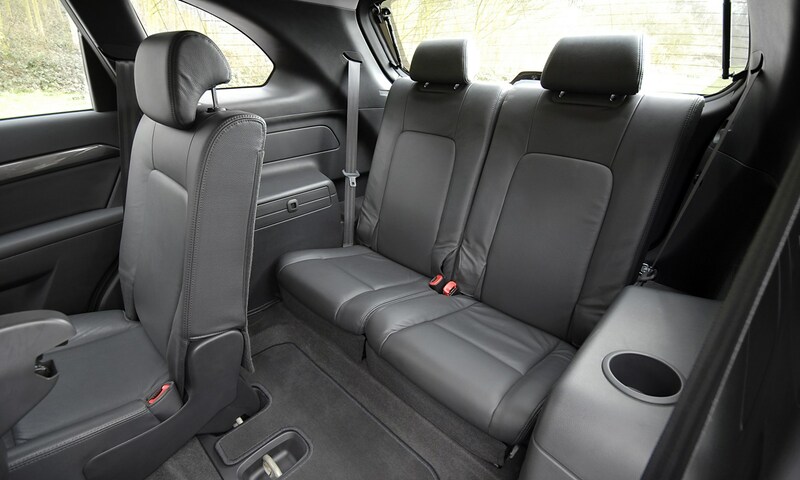 One slightly annoying feature is the sound of plastic trim parts of the seat adjustment mechanism rubbing against the vinyl seat sides, or the third row seats rubbing against each other along the 50:50 split. 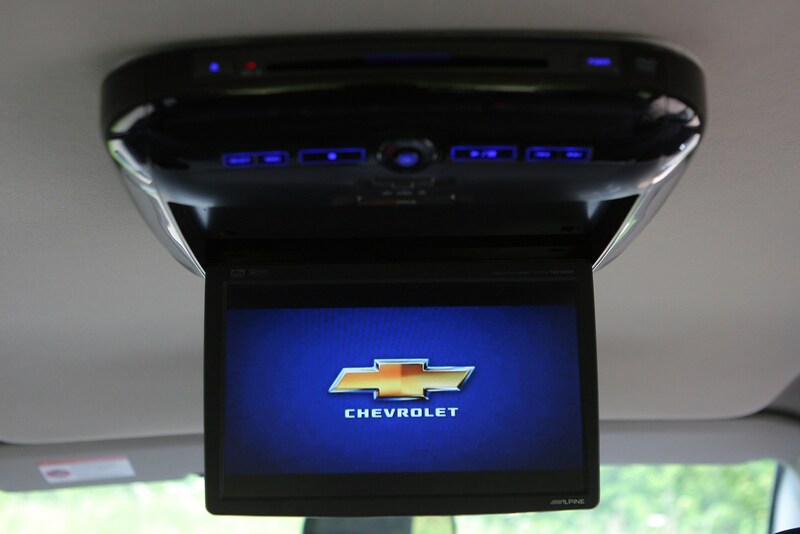 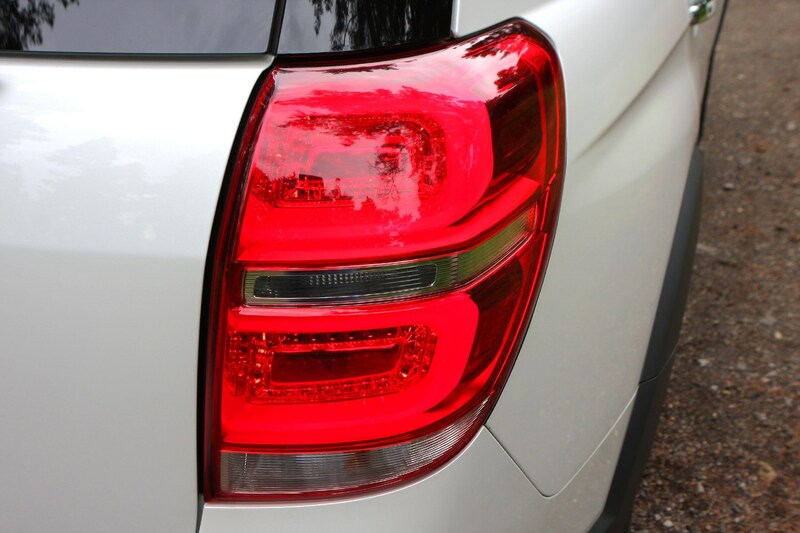 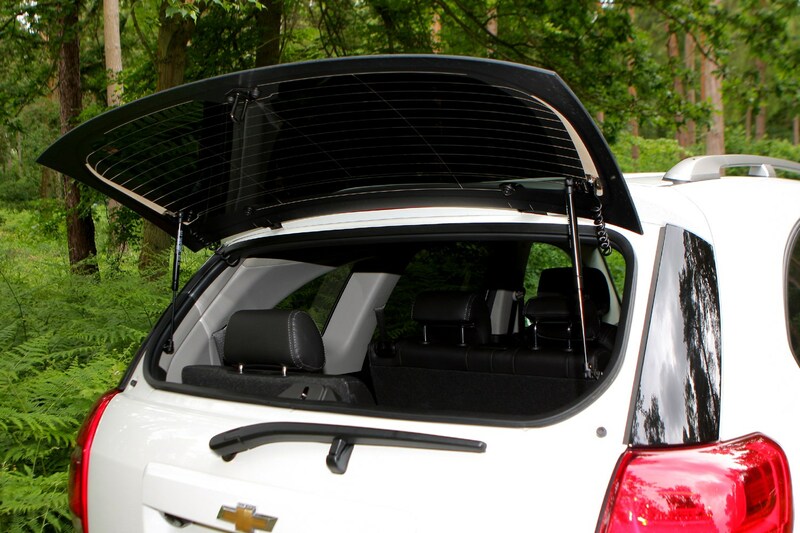 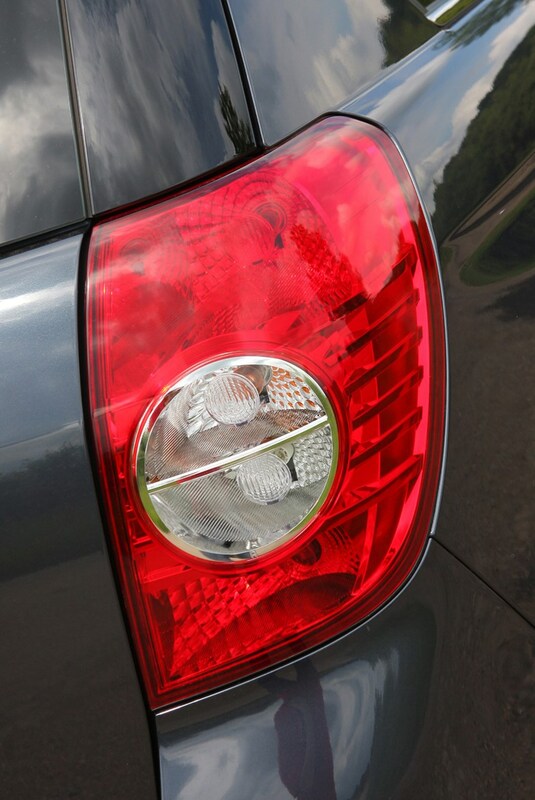 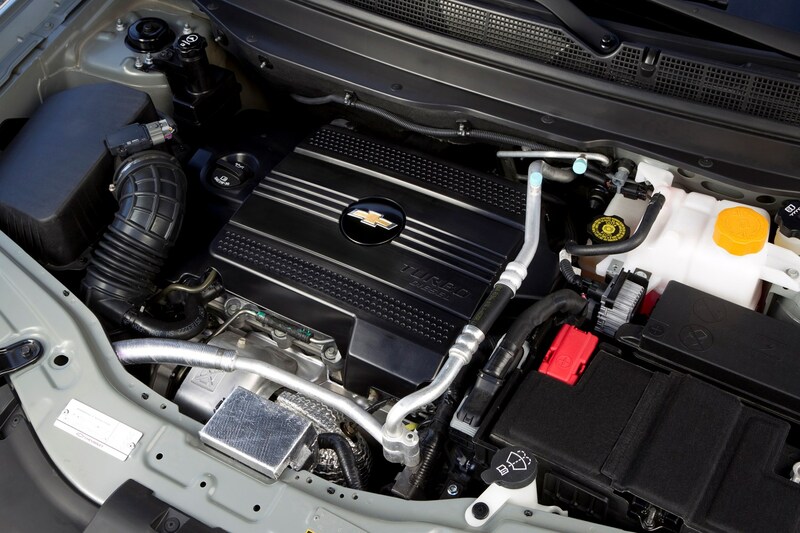 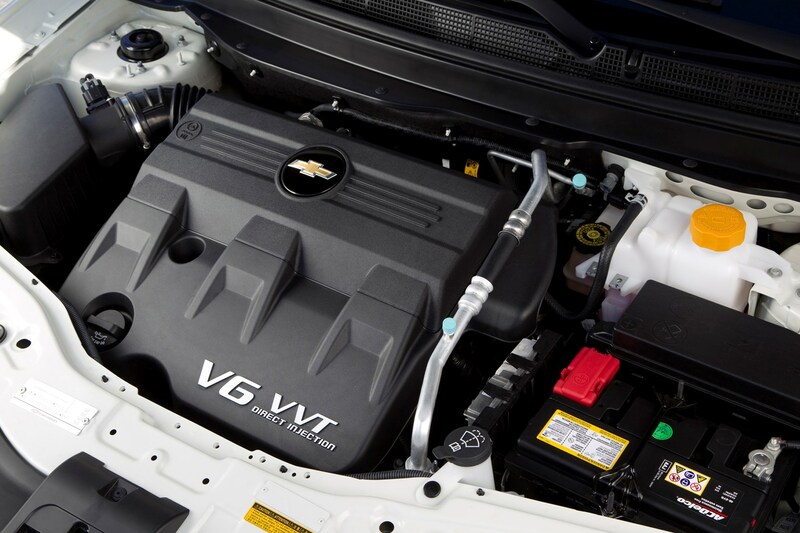 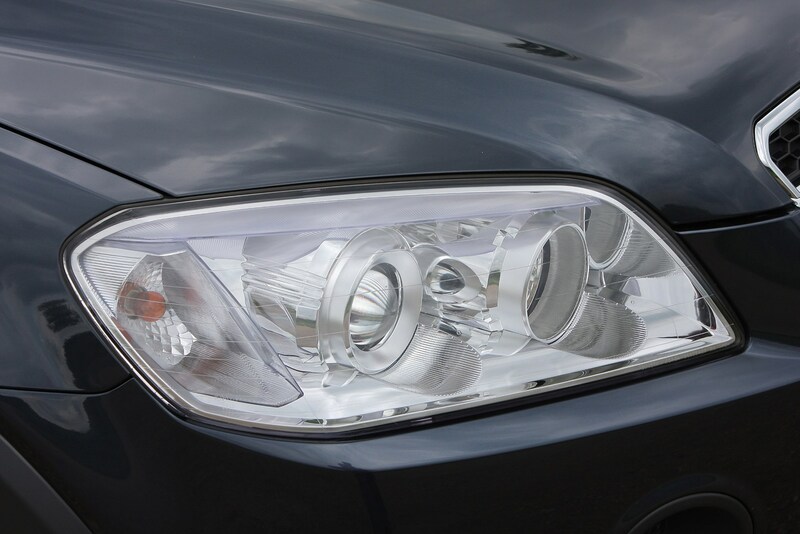 It seems that Chevrolet didn't put as much effort into resolving these issues (experimenting with different materials and so on), because it didn't think its customers would mind. 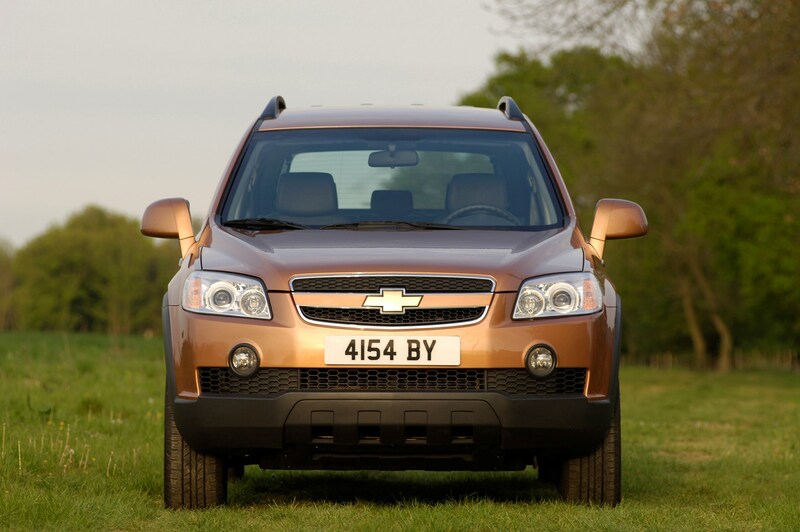 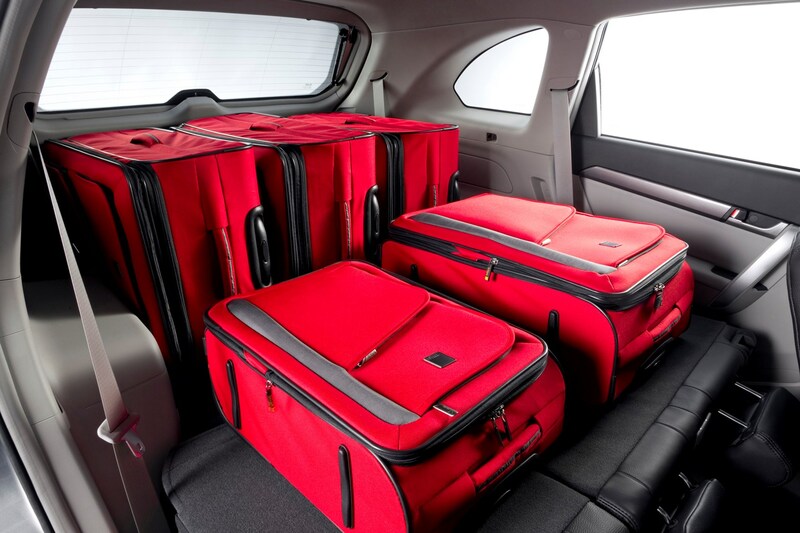 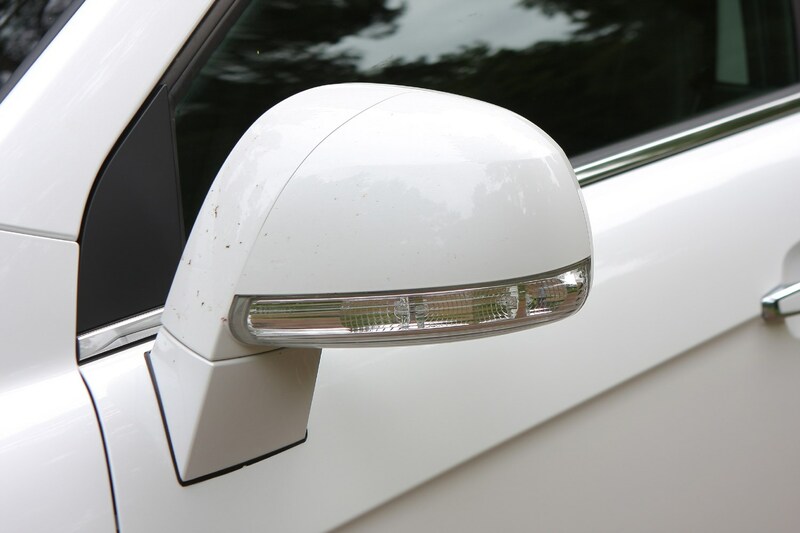 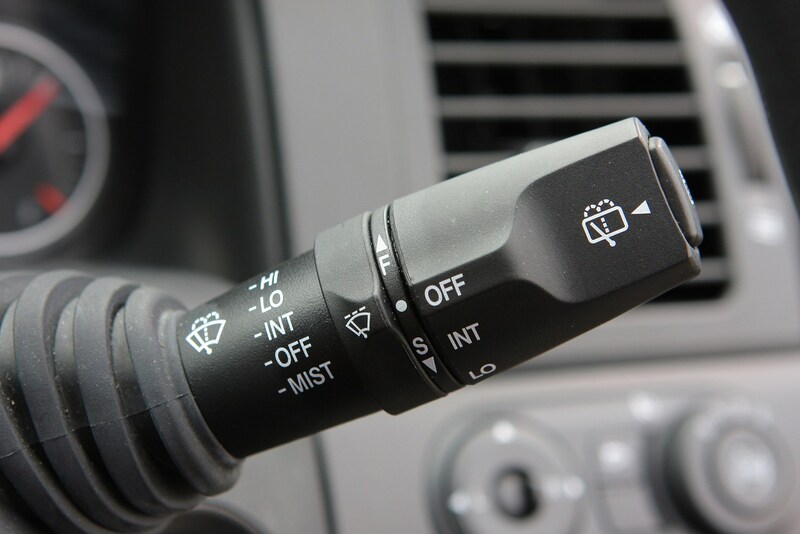 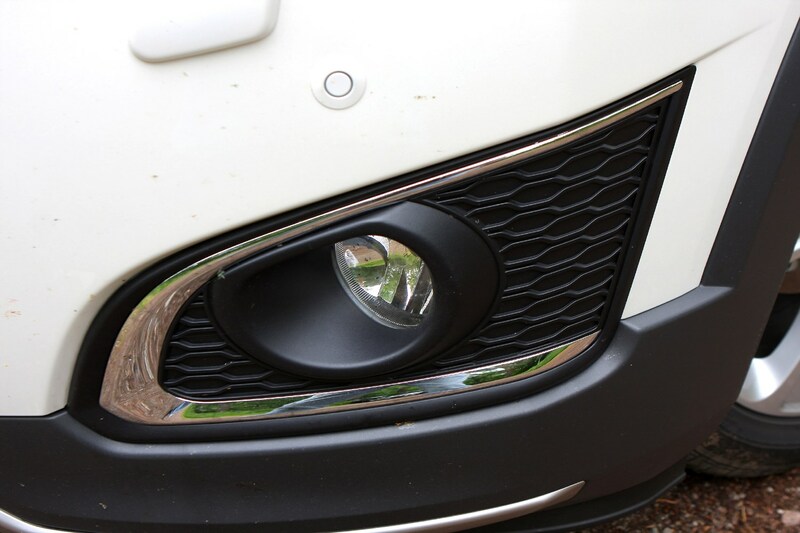 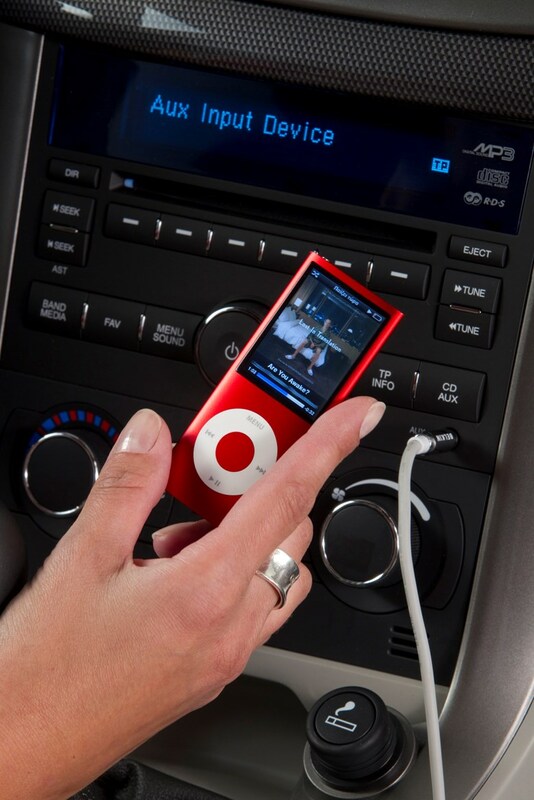 Refreshed models available from 2011 have seen improvements in the cabin. 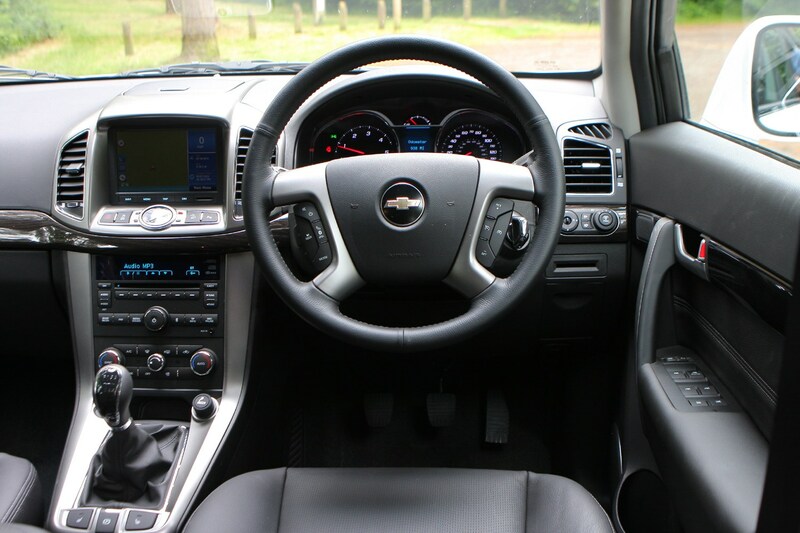 There's more chrome detailing as well as improved seat fabric, although some parts still have a slight plasticky feel. 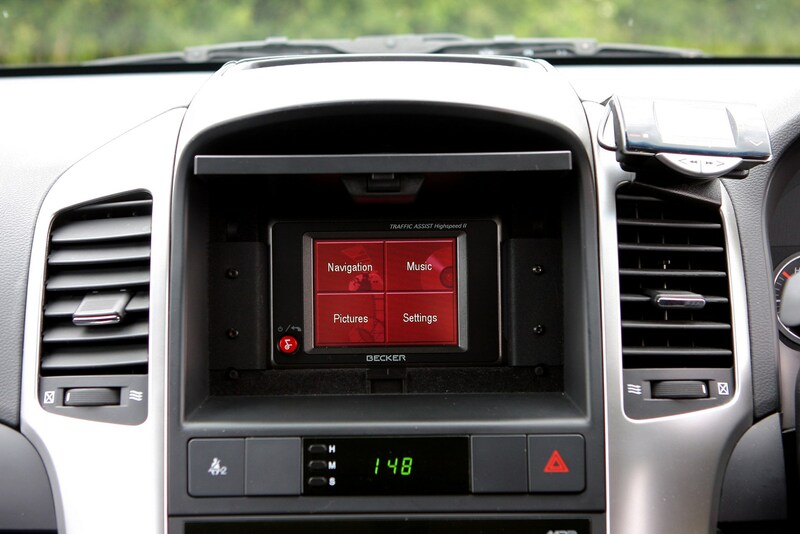 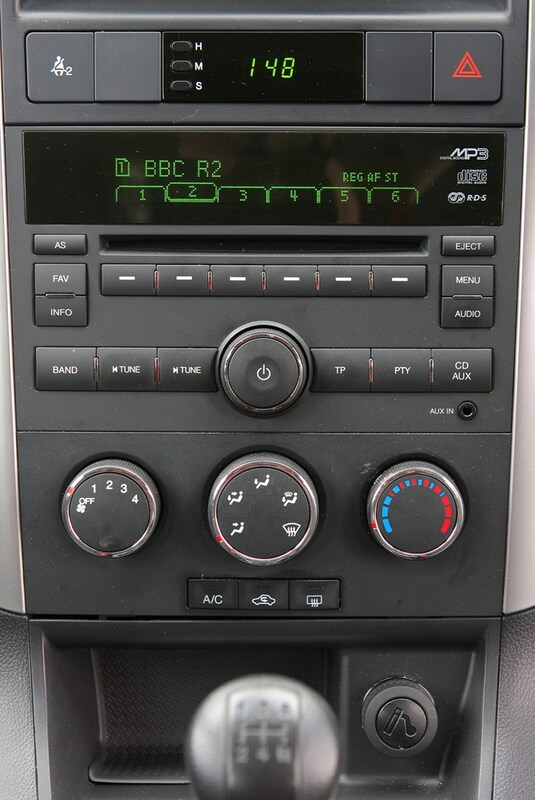 The improved stereo system with integrated sat nav is a step up from the previous model, while blue-backlit dials enhance the interior displays. 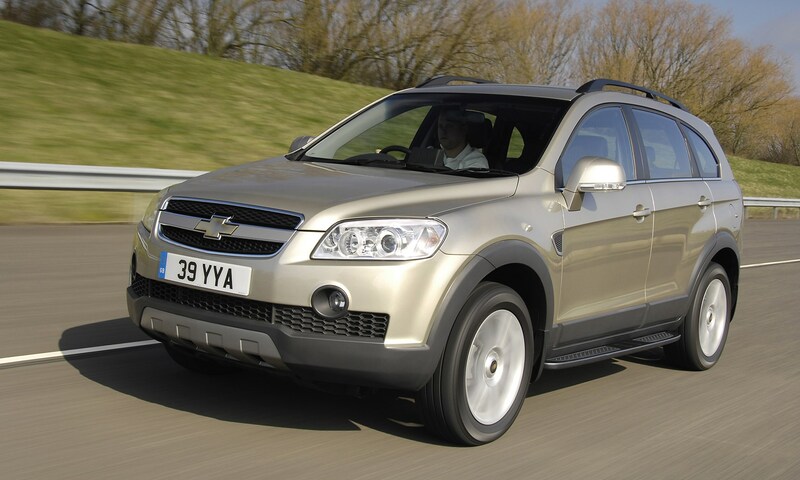 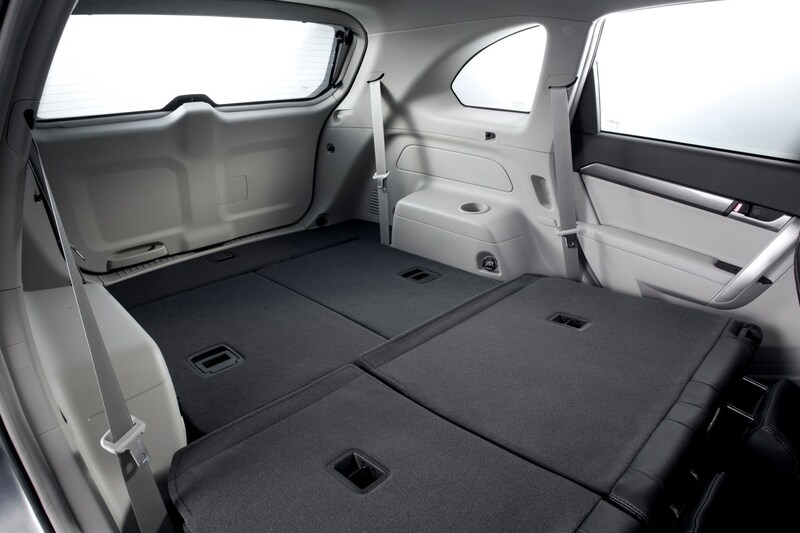 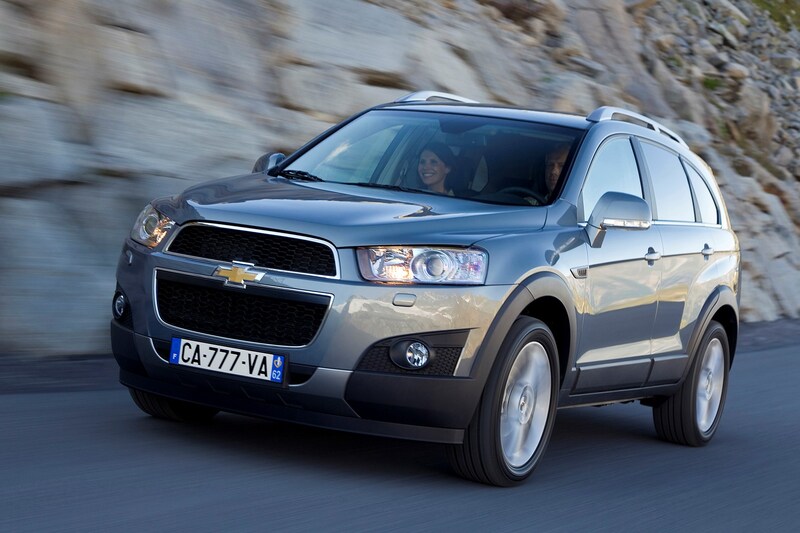 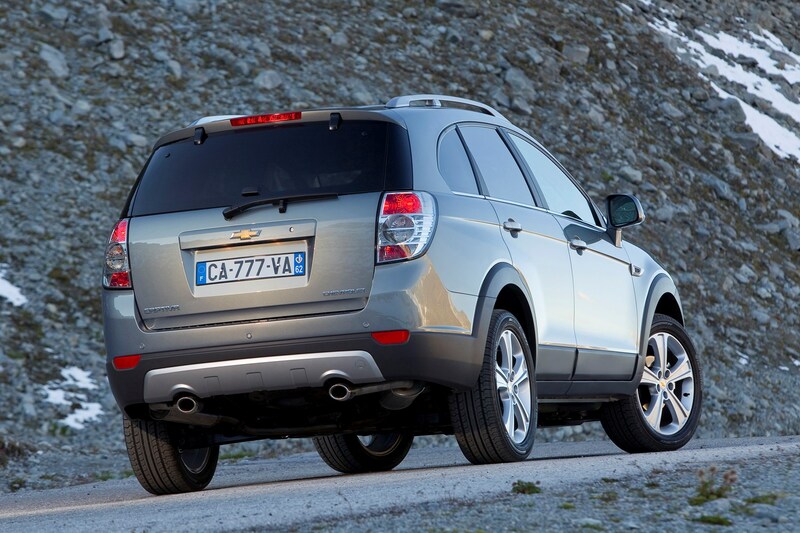 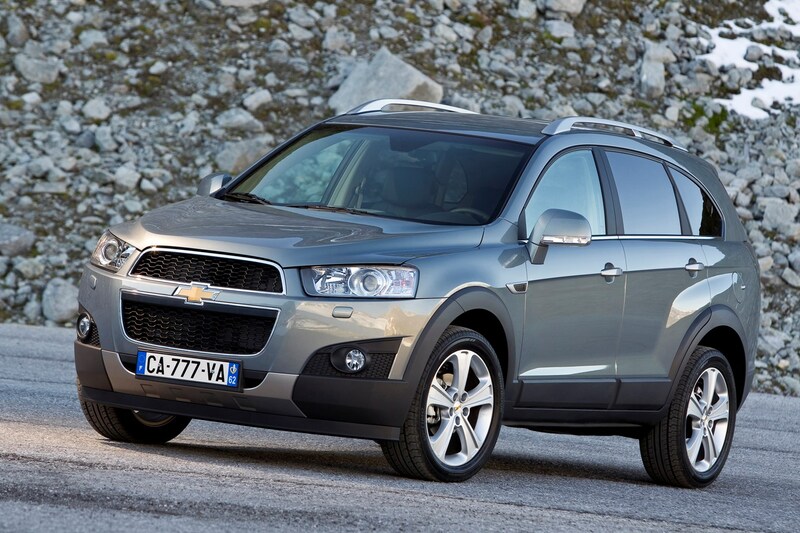 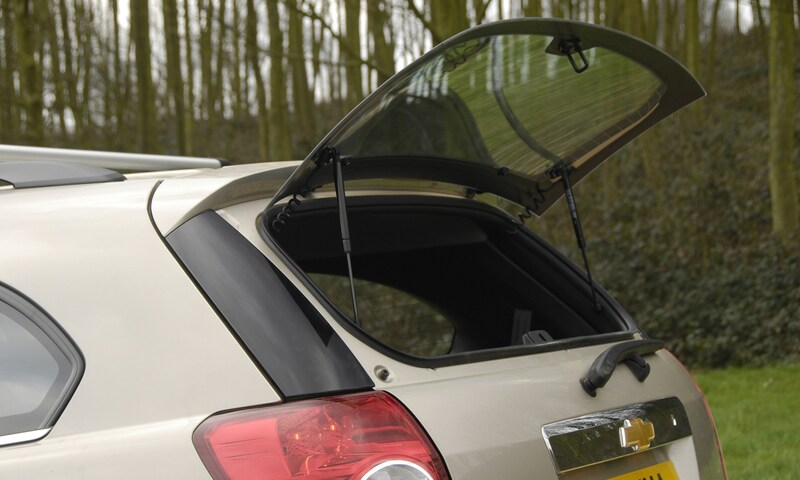 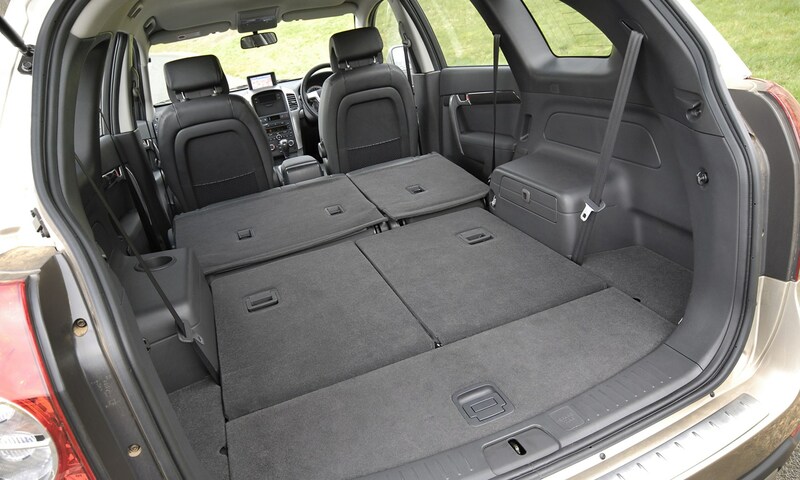 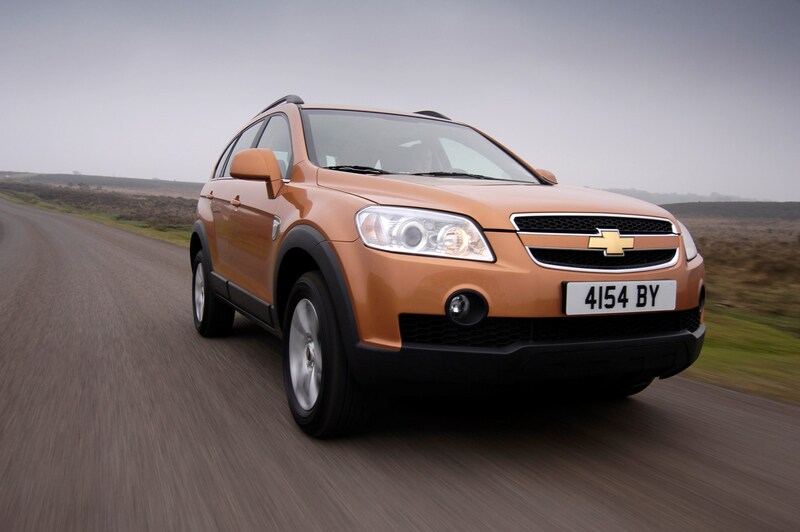 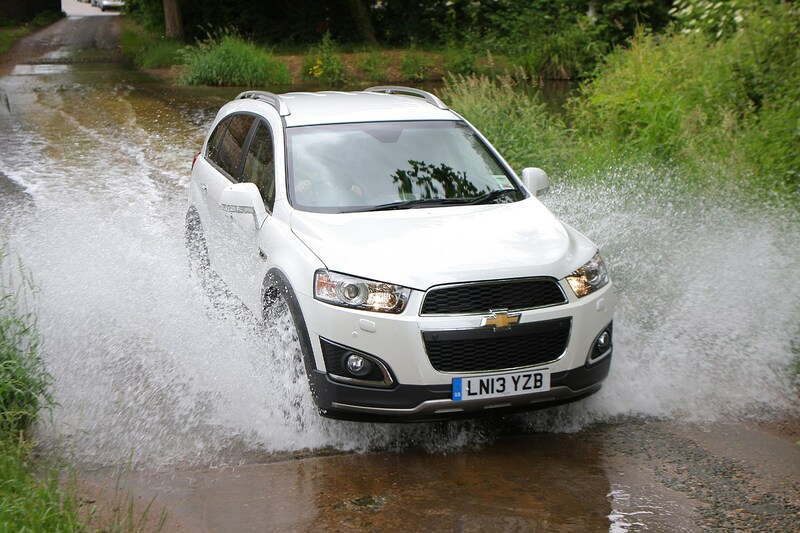 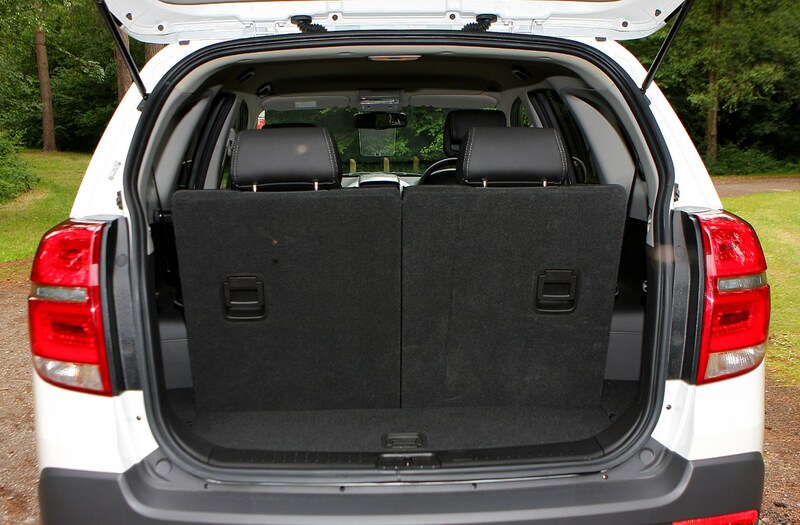 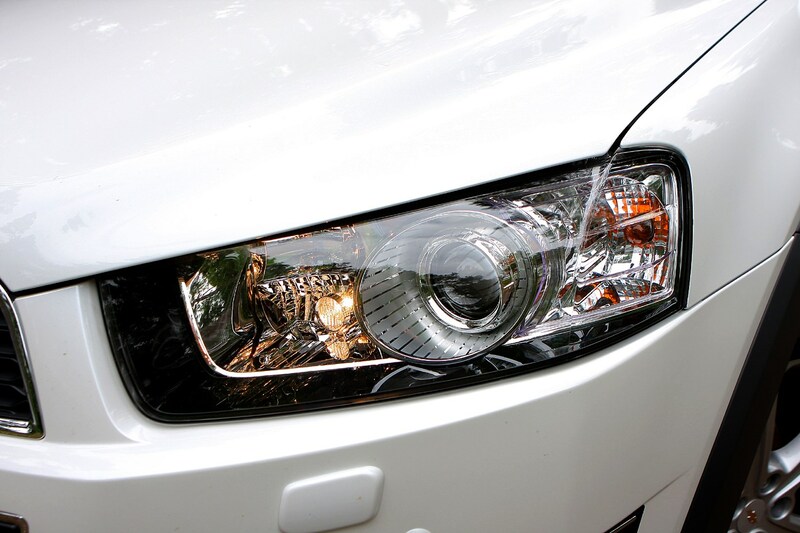 Chevrolet Captiva comfort levels are adequate at best. 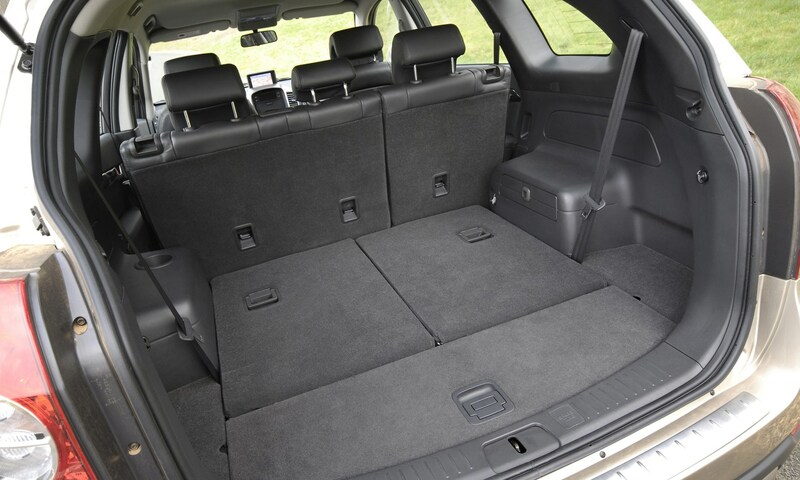 The first two rows of seats offer generous headroom and leg room. 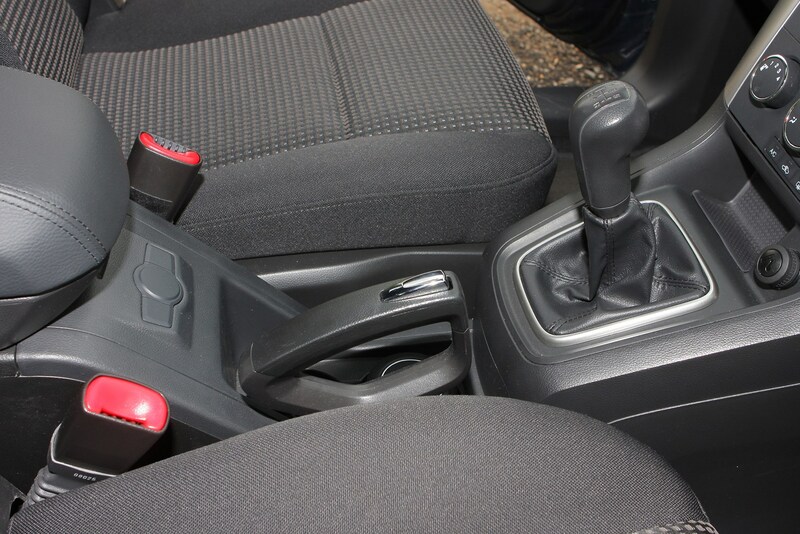 The third row of seats, where specified, is quite easy to access - the middle row 60:40 split bench has a lever on both sides to fold the seat forward with one movement. 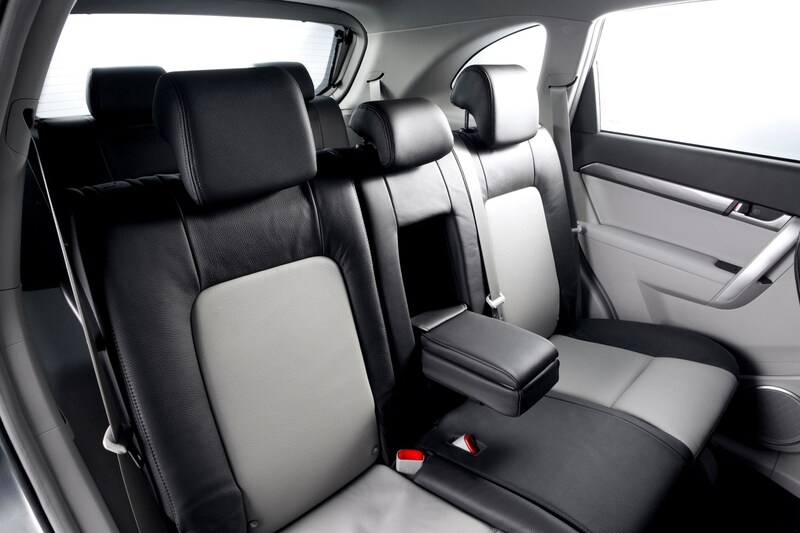 The middle row seat-backs also recline but sitting in the third row wouldn't be comfortable for adults on long journeys. 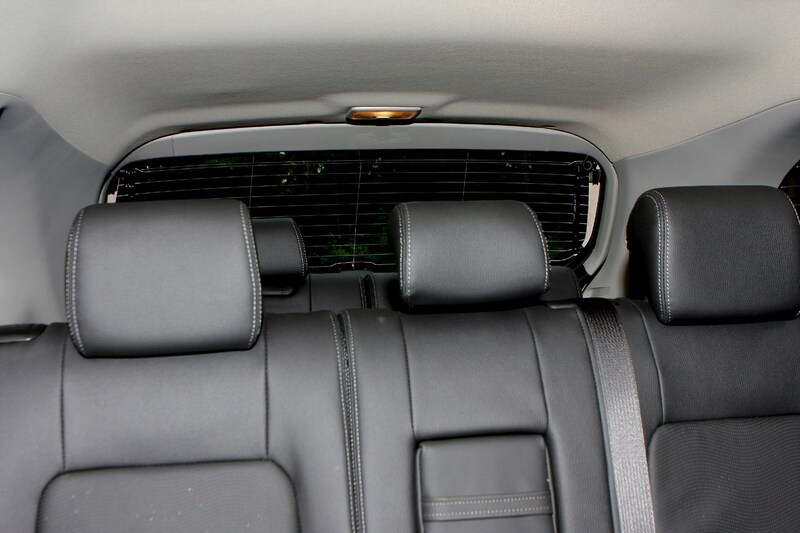 The high floor means you sit with your knees quite high and there is a rather claustrophobic feel. 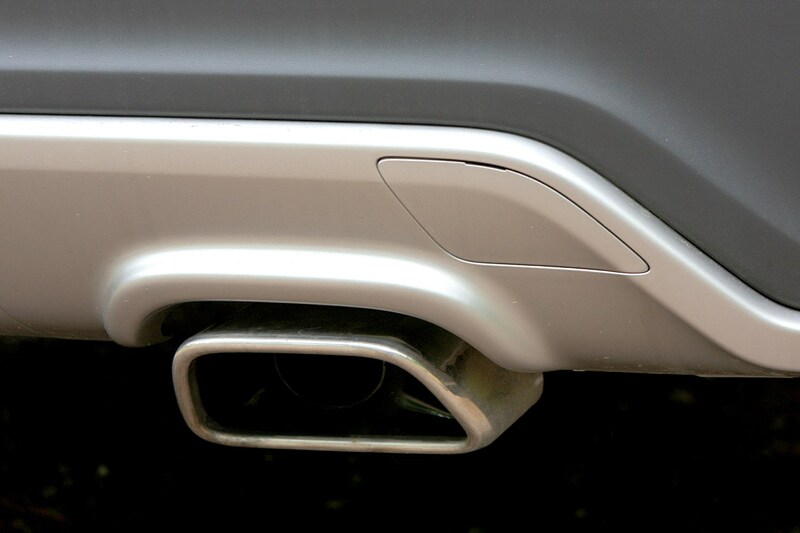 Suppression of engine noise isn't as good as the class leaders, with diesel 'clatter' all too evident when starting from cold. 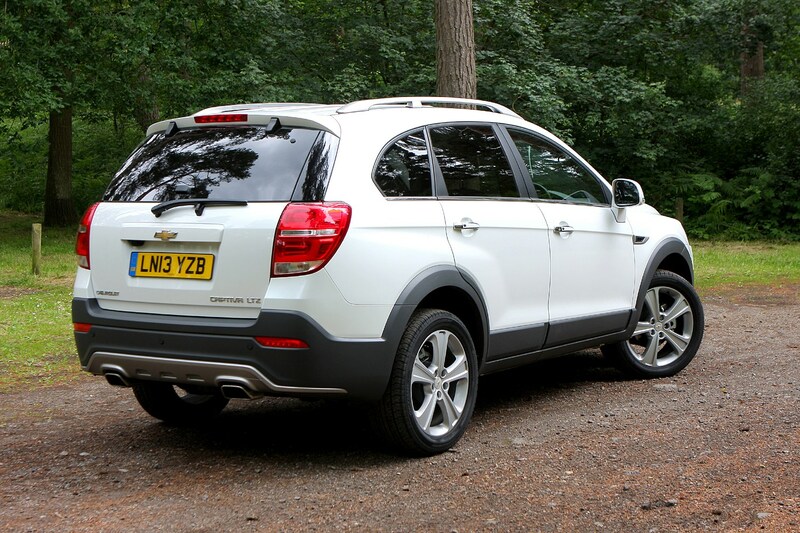 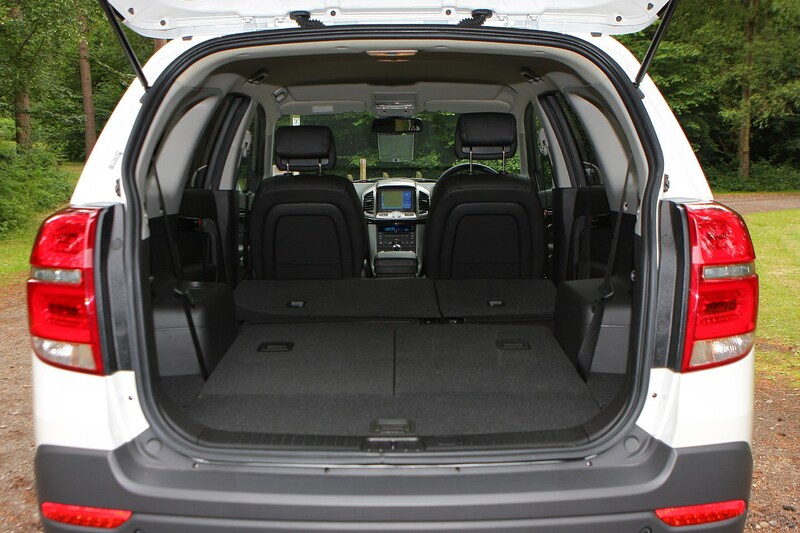 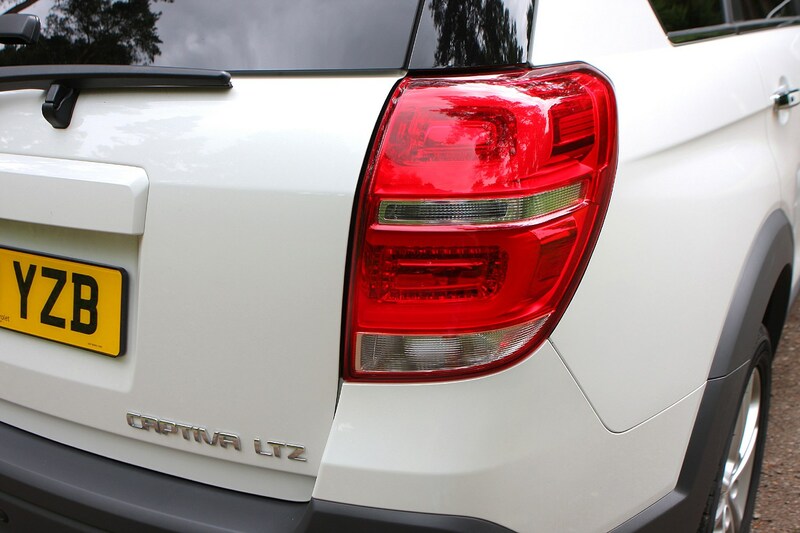 Air conditioning and electric windows are standard on all Captiva models, and heated front seats are fitted on LTX versions.